The student cafeteria on the Wilhelminenhof campus is more than just a dining hall. You can grab a bite to eat here and also catch up with fellow students, relax, enjoy the view of the river Spree and follow up on course material. The library on the Wilhelminenhof campus is wonderfully peaceful, you are surrounded by books and have Internet access as well. It’s perfect! I call the tree in the inner courtyard our "tree of the seasons". There is something rather idyllic about it. I associate knowledge, humanistic education and a long tradition of studying with the Aula lecture theatre. It is an academic haven. I have many fond memories of lecture hall 208. Not only did I have lectures here as a student; I was also a buddy and shared my personal experiences with first-year students here. It was really fun. I enjoy working in the modelling workshop. The time spent working on prototypes creates a focused and enjoyable atmosphere in which you can escape stress and find inspiration. The Stephanus workshops are the perfect example of how people with and without a disability can live and work together. I like to go down to the river Spree. The flowing water helps to free up my mind, enabling me to consider new ideas and challenges. I enjoy spending time in the inner courtyard of the campus. It's the perfect place to take a quick break and find tranquility. Good teaching is the most important part of my job. My favourite room in which to teach is large, bright and has a great view of the campus and the adjacent industrial architecture. My office is my ‘academic home’. As well as providing the space and atmosphere I need for concentrating, it is also ideal for holding discussions with colleagues and students. 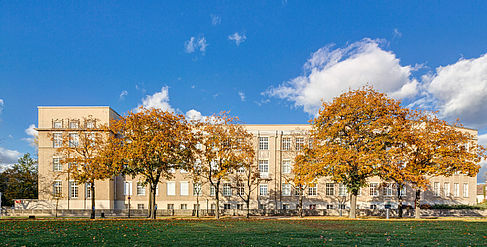 The Wilhelminenhof campus is located in Oberschöneweide in the Treptow-Köpenick district in the South East of Berlin. 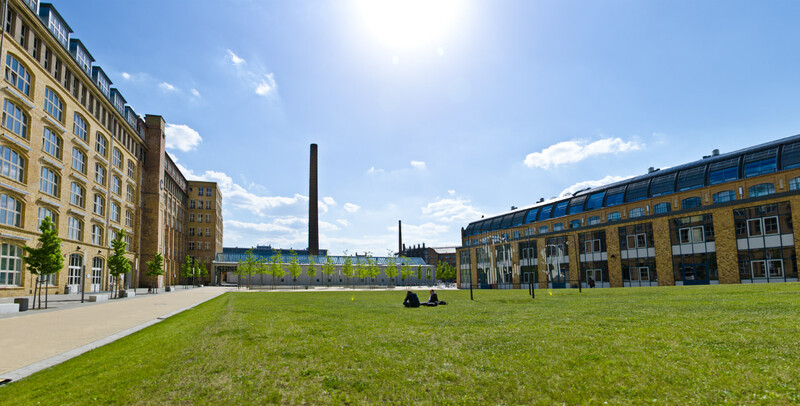 Located directly on the Spree and steeped in history, this former industrial complex has been transformed into a modern centre for science. The imposing buildings have been sensitively refurbished and complemented by new buildings. HTW Berlin took up residence in the first building in 2006. The Treskowallee campus is surrounded by beautiful old trees and oases of green, creating a high-quality learning environment especially in the summer months. The main building was inaugurated as a higher secondary school for girls in 1914. From 1950 the buildings were used by the College of Economics (Hochschule für Ökonomie, HfÖ) of the GDR. HTW Berlin took over the Treskowallee campus in 1991.